SHG’s longest-term participants recall that Seattle Homeschool Group has existed since the 1980s, when it offered a monthly newsletter and monthly parent meetings with discussion topics or guest speakers. In 1990, the Rainbow Way Playgroup was formed by a group of Seattle-area parents who were strongly influenced by such models as attachment parenting and unschooling. The group brought together like-minded families who wished to homeschool but whose reasons were not primarily religious. Around 1998, SHG and Rainbow Way merged, using the same group of volunteer parents to manage both. Around the same time, some of the group’s parents who wanted a more structured learning environment for their children started the Log Cabin Cooperative. It operated successfully for about a year as an independent cooperative in a local log cabin building. Parents developed ideas for classes and hired independent teachers or lead the classes themselves. The tuition charged by the cooperative covered rent, class supplies, and teacher fees. Cyber School building, the district’s resource center for homeschooling families. In other respects Log Cabin continued operating as before, using its own teachers or parents to lead classes. Several Log Cabin kids were also beginning to use Cyber School, making the arrangement convenient for many families. By 2001 the cooperative dissolved as students either became absorbed by Cyber School or went their own homeschooling ways. That fall, SHG parents arranged for free weekly use of a large room at Green Lake Community Center. Families organized morning activity sessions for younger children and afternoon activities for older kids. City budget crunches forced the community center to begin charging for room use in 2003. At this point, SHG parents evaluated committing to a rental agreement and mandatory rotation of activity planning among participants. Instead, they chose to support weekly park days and a flexible and voluntary activity schedule. SHG began to grow considerably and more and more opportunities were created by members. Groups of parents worked with local community centers including Magnuson, Southwest, Queen Anne, and Loyal Heights to create weekly class programs for homeschoolers within SHG and beyond. The programs at Loyal Heights and Southwest (now called the Family Learning Program) continue with a wide variety of classes, clubs and rich community-building activities. See the Featured Events page for more information on these programs. Several subgroups have formed from/within SHG. Some have formed around stages of homeschooling, such as the Small Folk group established by parents of children age six and under, and the SHG Families with Teens Group. Others center around location, such as West Seattle and South Seattle. Others are on special topics, such as Single Parenting. Individuals within these groups offer park and activity days specific to their area or interests. An initial catch-all Yahoo group called SHG General was created by one volunteer in the early 2000s, but the administration and approach that worked well for 20 families did not anticipate the rapid growth and longevity of the community and could not adequately serve hundreds, so in 2015 the team of current SHG volunteers worked together to create updated, alternative communication forums for SHG families and others interested in Seattle-area homeschooling. 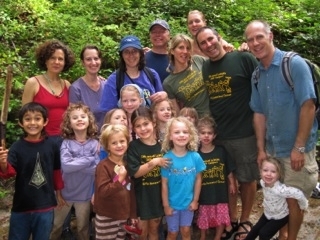 Seattle Homeschool Group is a thriving community of many diverse families meeting regularly for park days, field trips, potlucks, and special events such as Not-Back-to-School Park Day and the Harvest Party. Individual families offer the community a steady stream of game days, workshops, outings, volunteer opportunities, and so much more! If you are an SHG alum, please join the Alumni Yahoo Group!